Take control of budgeting and reforecasting with the one property management budgeting software solution designed to make your work life easier. It’s about time—saving you more of it. RealPage® Budgeting can take you through budgeting season with ease, so you can scrap the spreadsheets once and for all. Skip the tedious manual data entry. Improve accuracy, streamline budgeting, and take control of reforecasting, consolidation and reporting. No more spreadsheets, hours of redundant data input, and wondering whether formulas have carried over. RealPage Budgeting integrates with property management and accounting software for precision accuracy and reduced risk. It’s customizable and configurable for the way you do business. And it’s quick and easy to implement so you can get to work right away. Save time, big time with RealPage. Time-saving, simplified features and functionalities means quick, easy data imports—no more tedious, time-consuming template setup or collecting data from multiple sources. Intuitive, responsive design makes it easy to use, helping you get more done in less time. Avoid formula or link errors that can occur with spreadsheets. Changes made to your budgeting model are automatically updated throughout the system, reducing risk of human error. And it intuitively prompts you along the way, performing complex calculations for you. 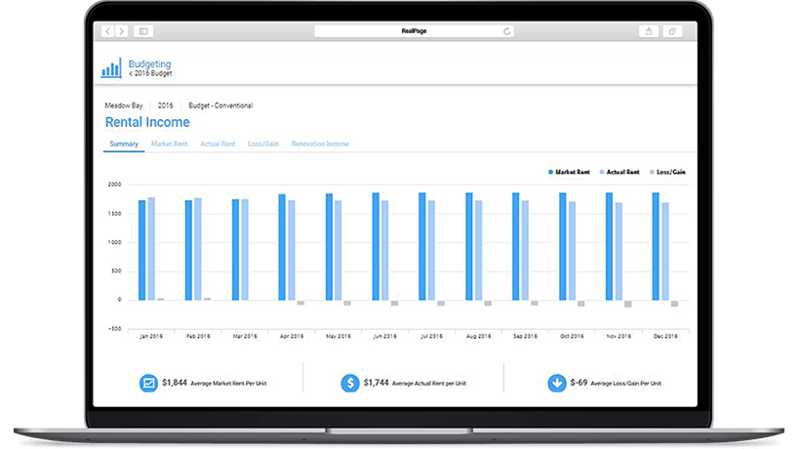 RealPage Budgeting offers real-time visibility and collaborative capabilities so everyone can be on the same page. Our customizable platform keeps budgets secure, easily accessible and visible to key stakeholders 24/7 in one, central location. The fact that RealPage Budgeting is quick to implement and easy to use translates to a lower total cost of ownership. Save valuable time preparing budgets and reforecasts, and get access to clear, comprehensive and accurate views of KPIs that impact your bottom line. Robust functionalities enable setting up a reforecasting model in just 5 minutes. 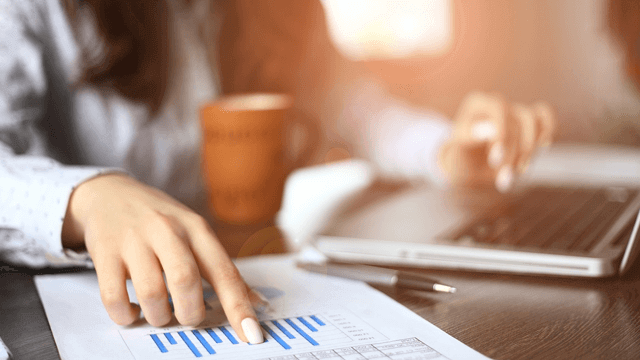 The reforecasting tool automatically allows actual performance to be loaded into your template complete with helpful options using the original budget, prior-period actuals or reforecast numbers. Flexible reporting allows you to see real-time detailed or summary-level performance. View 12 period or long-term rolling forecasts within minutes, with viewing options such as variance to budget and actual data allowing you to easily analyze trends and spot opportunities. Save time, big time, with RealPage Budgeting. Take back your valuable time with RealPage Budgeting. Save Time, Improve Accuracy, and Take Control of Reforecasting with RealPage Budgeting. Save time, reduce errors and get reports in multiple formats with RealPage Budgeting Software. A budget is your vision of an asset and a forecast of potential earnings. While creating a portfolio or property budget, our deniable need to put everything under the microscope to review and analyze blurs the view. As we try to ensure that values tick and tie, we can miss the big picture.